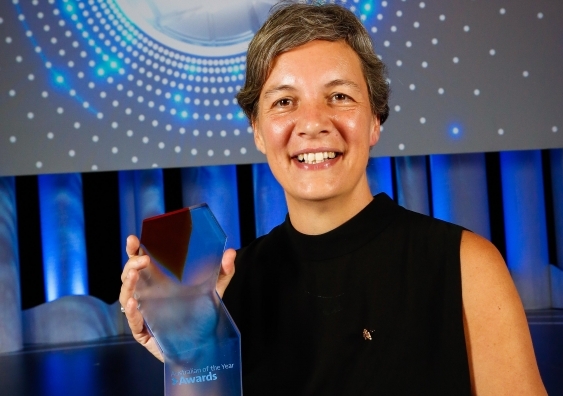 UNSW’s Scientia Professor Michelle Simmons has been named as the 2018 Australian of the Year in recognition of her pioneering research and inspiring leadership in quantum computing. The Professor of Physics and Director of the Australian Research Council Centre of Excellence for Quantum Computation and Communication Technology, CQC2T was awarded the honour by Prime Minister Malcolm Turnbull at a ceremony at Parliament House in Canberra. As Centre Director, Professor Simmons leads a team of more than 200 researchers at eight Australian universities who are developing a suite of technologies for quantum computing, information storage and communications. Her research group is the only one in the world that can manipulate individual atoms to make atomically precise electronic devices. In her Australia Day address, Professor Simmons said that her team is the world leader in building a quantum computer based on silicon. “It is nail biting, it’s exciting and it’s happening here right now in Sydney. But what really inspires me now is that we are at the threshold of making this into something practical and real, with a demonstrable benefit,” she said.